Russia used fake news to influence the election, James Clapper says. 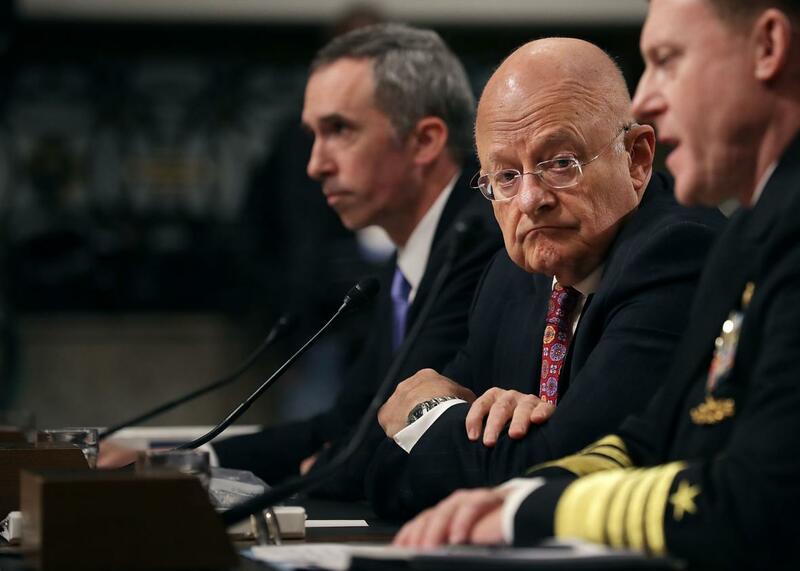 Director of National Intelligence James Clapper testified that Russia used fake news, propaganda, and disinformation in addition to hacking in its bid to disrupt the election. Fake news was part of the Russian government’s attempt to influence the U.S. presidential election, Director of National Intelligence James Clapper said in a Senate hearing Thursday morning. This was a multifaceted campaign. So the hacking was only one part of it, and it also entailed classical propaganda, disinformation, fake news. Asked whether those disinformation efforts have continued in the election’s wake, Clapper said “yes.” He declined to elaborate on the nature of Russia’s propaganda campaign in Thursday’s hearing, or to speculate on what impact it might have had on the election’s outcome, if any. He said there will be more detail in an unclassified report that is scheduled to be released early next week. Fake news stories, including many written to appeal to a pro-Trump or anti-Clinton audience, circulated widely on Facebook in the months leading up to the Nov. 8 election. They included false reports that the pope had endorsed Trump and that an FBI agent suspected of leaking Clinton’s emails had been murdered. In the month since, there has been much debate over who was responsible for creating and spreading such stories, and what role they played in voters’ decisions. Clapper is not the first to suggest that Russian groups played a significant role in fueling fake news. And even his own testimony to Congress should not be taken as gospel. Still, his statements lend greater credibility to the allegations, which have in some cases relied on questionable evidence and methodology. A Nov. 24 Washington Post story linking Russia to fake news was justly criticized for its credulous presentation of findings by an anonymous group called PropOrNot, whose list of “Russian propaganda” websites implausibly included a broad range of well-known, U.S.-based news and commentary outlets. That the Post story was flawed does not mean that the Russians played no role in spreading fake news, of course. Adrian Chen, who criticized the Post’s story for the New Yorker in December, wrote for the New York Times Magazine in 2015 about a group of Russian “trolls” who spread various hoaxes via U.S. social media even before the most recent presidential election cycle. At the same time, it would be a mistake to overstate the Russian government’s role in the fake news phenomenon. Plenty of it was homegrown: BuzzFeed, the Post, NPR, and others have independently tracked down and interviewed the proprietors of some of the most prominent fake news purveyors, each of whom have their own motivations, and none of whom have obvious ties to Russia. Multiple reports have also pointed to a cottage industry of fake news sites in Macedonia, at least some of which appear to be the work of entrepreneurs pursuing advertising revenue. This supports the argument that Facebook itself is at least partly to blame for the fake news phenomenon, because its news feed algorithm tends to favor sensational and partisan stories over sober, factual reports. (We at Slate have created a tool, This Is Fake, to help flag fake news on Facebook. Facebook has since created its own tools, partnering with third-party fact-checkers.) A decline in public trust of the mainstream media, concerted propaganda efforts by U.S.-based political groups, and media illiteracy among the public share some blame, too. Still, Clapper’s comments and the upcoming report are likely to raise fresh questions about the mechanisms by which fake news is created and promoted, and about how deeply Russian hackers and media outlets have ingratiated themselves into that distribution system. Disinformation and propaganda have long been specialties of the Russian government and state-run media. Increasingly, they’re becoming endemic to the United States as well.